Lowering stress is a gift you give to yourself. the more you will receive to be grateful for. I don’t recall loving Thanksgiving when I was a kid, but it’s been my favorite holiday throughout adulthood. I love the predictable menu, the laughter and cheerfulness that provides the background noise of the day devoted to counting our blessings. As much as I appreciate the motivation behind this holiday, I also suspect that one day devoted to celebrating the good stuff is a bit inadequate. 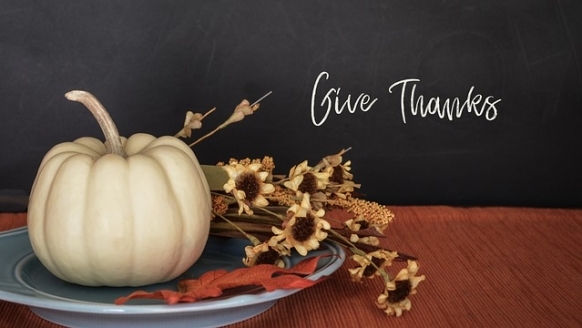 Happily, some wonderful writers and teachers have appeared to remind us that gratitude is a game changer that can be employed every day of the year. If you’d like to extend this holiday, get a copy of Pam Grout’s delightful Thank and Grow Rich. She not only makes a strong case for the power of gratitude, but offers creative activities to put to work in your own life. As she points out, “Giving thanks, recognizing all the good in your life is the gateway drug to a life most extraordinary. It’s the superpower that moves you onto the frequency where beauty and joy and creativity happen.” It also can impact your financial abundance. Thank you for sharing my Joyfully Jobless Journey. Your support makes a bigger difference than you may realize. Note: Although I don’t usually share articles here that have appeared in Winning Ways newsletter, this one from a year ago seemed equally appropriate now. Stress. That all too familiar reaction to a situation that upset our mental and physical equilibrium has been rearing its ugly head throughout the year. Besides all the political stress, I seemed to be in a perpetual state of fixing things. I don’t know about you, but I don’t find dealing with a backed up sink, a car with an oil leak, a dishwasher that decides to stop working, especially inspiring. Fortunately, I have a body that issues a red alert when my stress is growing just in case I hadn’t noticed I was snapping at the people around me and sighing deeply for no particular reason. Although I’m usually a champ at managing stress, I found I had to really stay on top of it as annoying problems continued to present themselves. My usual enthusiasm about problem-solving was failing me. I also realized that stress is not to be dismissed lightly. Studies have found that health problems stemming from stress, like hypertension, cardiovascular disease, and decreased mental health, can lead to fatal conditions that wind up killing about 120,000 people each year—making work-related stressors and the maladies they cause, more deadly than diabetes, Alzheimer’s, or influenza. So I did a little inventory. What do I have going on in my life that counteracts stress? The list was quite long and included things like working for myself, no job commute, fun grandchildren, creative activities, reading, walking, humor and dulce de leche ice cream. It was time to take things up a notch. A huge stress reducer for me is crocheting. At this time last year, I was busily engaged in crocheting scarves to donate to a homeless shelter. I grabbed some yarn and began a new project. I also knew it had to be simple so I could just melt into it rather than fretting over complicated directions. As anticipated, my body began to relax. I was thinking more clearly. The crochet hook still had magical powers to calm me down. Whew! Then I stumbled across something that was even more powerful and didn’t require a block of time to put into practice. Suddenly I was getting more done, but doing so from a relaxed—even amused—position. Not only did it motivate action, it also proved to be a creative activity. What was this game changer? It was simply a matter of reframing situations in front of me. Yes, reframing. According to the dictionary, there are several definitions of this handy word.The most obvious is to support or enclose (a picture, photograph, etc) in a new or different frame. That wasn’t what my reframing involved, however. I was challenging myself to implement another definition of that word: to look at, present, or think of (beliefs, ideas, relationships, etc) in a new or different way. Or I’d call on my favorite number and ask myself, “What are five things I can do right now to care for myself?” (Note: as I finished that sentence my word counter hit 555). 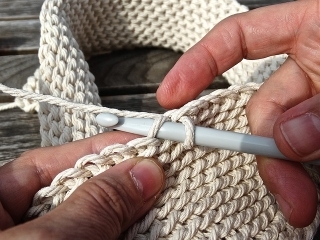 Whatever your version of a crochet hook is, get it out when necessary. Refuse to let stress be a permanent houseguest. If you’d like some ideas about making this festive time of the year a bit calmer, pay a visit to Buon Viaggio blog and read my thoughts on Hassle-Free Holidays. After all, lowering stress is a gift you give to yourself. Small Business Saturday first started in 2010 and is a counterpart to Black Friday and Cyber Monday, which feature big box shops and e-commerce. Small Business Saturday encourages holiday shoppers to patronize businesses that are small and local. Of course, I love the idea of supporting small businesses. In fact, it’s the primary motivation behind my newsletter Winning Ways. 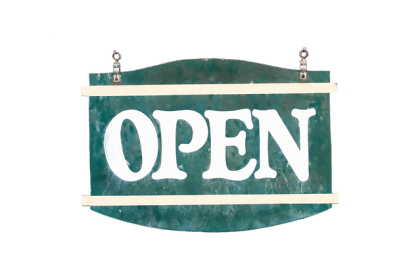 If you know someone in need of encouragement, or if you are someone who welcomes ideas, information, and inspiration, a subscription to Winning Ways is another way to support Small Business Saturday. Order now and I’ll send a bonus copy of the October/November issue to get you started. As always, I’m excited to return to Colorado Free University on December 8 & 9. It may be some time before there’s another such weekend in the Denver area, so don’t miss out on this power tool packed event. It will help you get your new year off to a great start. No kidding.